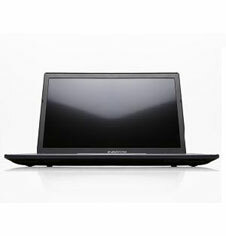 The "Electra" by Eurocom includes a beautiful 1920x1080 display with IPS unlimited viewing angle technology; excellent overall performance thanks to an Intel Core i7 quad-core processor, 16GB of RAM and a Solid State Drive (SSD). Our review model also sports a 1.5TB hard drive, the first of its kind in a notebook form factor. It has a gorgeous 1080p IPS display; excellent overall performance; multiple storage drive options; plenty of ports; reasonable battery life and finally a good touchpad. Eurocom’s latest lightweight configurable 15.6-inch custom gaming notebook, the Electra, boasts an IPS display with a 141 dpi resolution and LED back-lighting. The attractive, thin, and lightweight design, coupled with its long-lasting battery, make it a gaming notebook that you can take anywhere.